After Carol failed to get the Oscars love many hoped it would, Todd Haynes has decided to move in a completely different direction. Rather than taking on another drama about suburban heartache and prejudice, he's adapting Wonderstruck, the book from Hugo author Brian Selznick. While Haynes has made room for two of his favorite actresses, Julianne Moore and Michelle Williams, this is a story about two deaf kids, and the director has found an interesting way in which to tell it. 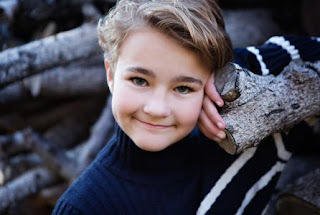 In Deadline's piece about the casting of 13-year-old deaf actress Millicent Simmonds in one of the two lead roles, they also revealed that half of Wonderstruck will be presented as a silent movie. That's pretty cool. The story takes place in two separate time periods and centers on the intersecting lives of two children. Simmons plays Rose, whose story is set in 1927 as she escapes from her New Jersey home to New York City in hopes of meeting her favorite actress. 1977 is the setting for the story of Ben, who also flees to New York City in order to escape his Minnesota home. Haynes hopes to better reflect Rose's perspective, but also pay homage to the movies of that era. He's always been a gifted visual filmmaker and he could be on the verge of doing something amazing.